Watch out Paleo carbophobes, these treats are not for you. For those of you that need or want to replenish your exercise depleted glycogen stores with real food and without added sugar, you’ll love these nutrient dense and delicious Paleo treats. In addition to being great peri-workout options these treats are just the right amount of sweetness and fat for a post meal dessert or quick palette cleanser. Great for upcoming Holiday parties, or as a gift in a beautiful little box for friends or loved ones. 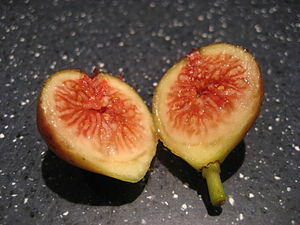 In your food processor, add chopped figs, raisins, barberries, and chop away until you get a nice paste. Transfer paste into a large mixing bowl and add almond meal, coconut oil, lemon juice and honey. Mix together very well with a spatula until you have a nice thick evenly distributed paste. 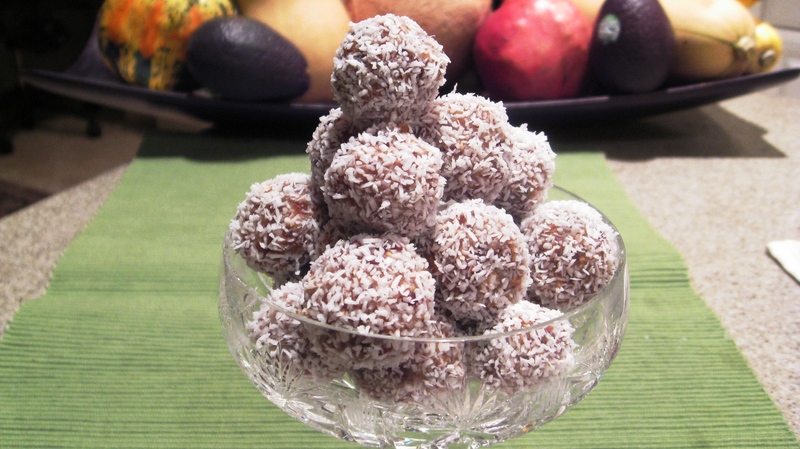 Scoop out one teaspoon at a time and roll even little balls between your palms and then roll them in the coconut flakes. Set them to cool in your fridge for about 30 minutes and serve. I can’t wait to make these for my mom when she comes to visit. Enjoy! Those look delicious! They seem similar to date balls, but perhaps they hold up better. The date balls I make (dates, vanilla, pecans, and rolled in cocoa powder and coconut flakes) require refrigeration/freezing and melt into soft, sticky balls when left at room temperature. How do these hold up? Oh Kristy, these hold up great. No mess at all. You can leave them out no problem. They are really good. I would love to try your recipe that you mentioned. Is it on your site? That is great to hear that they hold up well at room temperature. Can’t wait to try them! Anyway, your recipes are outstanding. Love getting that mouth-water treat every time you post a new one! Thank you for your culinary diligence to create healthy recipes! So unexpectantly yummy! I bought barberries from a Persian store and came across this recipe when looking for what to do with barberries. Delicious! !